So sorry for the late post of congratulation :p Please don’t think I’m being so mean for not posting up ya? hehe! For those who didn’t make it to the Top24, all the best and may friendships continue to grow! I missed those days we all catch up for yumcha for hours for gossips, hehe! StarCeleb finally started to show on air since last Sunday @ 6pm and it will continue showing on every Sunday @ 6pm at NTV7!!! I’ve gathered some of the contestant to chit-chat and loaf around in Friendster Cafe, Damansara Perdana on last Sunday, as to watch our faces on TV together. A bit disappointed that not many has shown up. Still, I get the best support from my buddies Joger, Kel, Elliot & Frank while our StarCeleb honorable IT admin Wilson & Simon have shown up when the show is started! This 1st Episode only last for half an hour. Basically broadcasting on the audition days… From there we can see alots on comedy happen during the audition 🙂 Again, I congrate all who have made up to the Top60 in StarCeleb (while we are all friends now :p) and too, encourage those who din made up to the Top60 but continue to work hard for next year StarCeleb, maybe?!! Frank has invited us to his house to watch the 2nd Episode together. 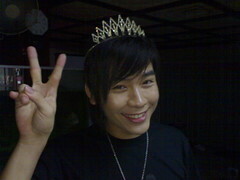 Definitely I will join him & Joger, hehe! We’ve planned for mahjong session to add up fun for the day! No matter how, all do stay tune, to watch us, StarCeleb on NTV7 every Sunday @ 6pm! 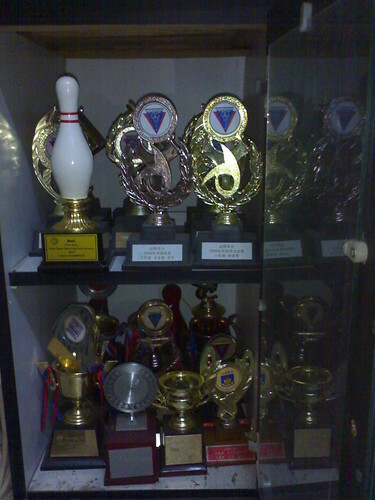 Here are dozens trophies and crown showing off in my parents’ house. 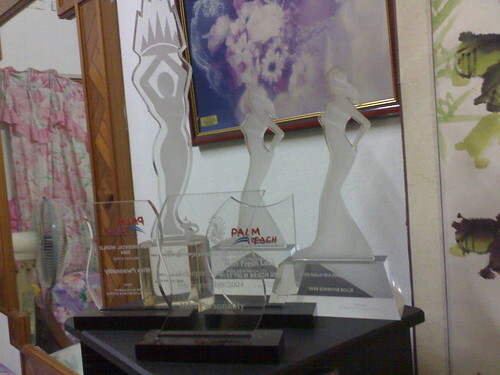 These are ONLY the few parts of OUR awards winning trophies photos. 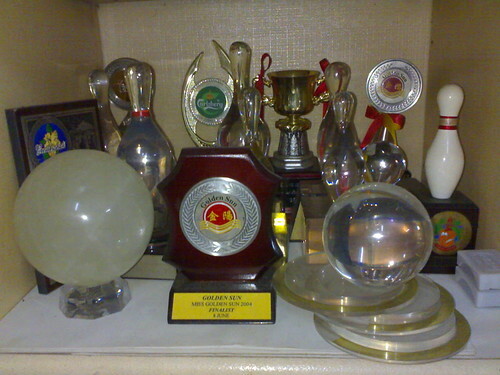 There’re many trophies of my father have been broken by me & my sis when we’re young, cos my dad make them our toys :p wakakaka… Just imagine if you have more than 50 trophies at home, and you might do the same! Another in-formal small gathering for karaoke session in Redbox, The Curve on 21/Aug 07. Joger called off for this karaoke sessions. Expected only 5 person but results turn out to have total 8!